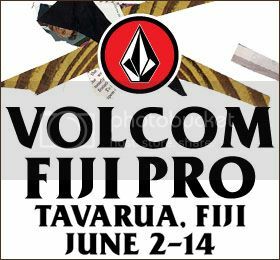 Volcom Fiji Pro runs from June 2nd - 14th at Tavarua, Fiji. Adam Melling starts his Pacific leg in Ht 9 vs Kerrsy and Holy Toledo. Good luck mate. Despite holding a 9.63, for a sick disappearing act, Mello finished 2nd in perfect 4' - 6' Cloudbreak bazzas. He surfs again in Round 2. No luck for Mello today eliminated after the hooter in a tough heat at Restaurants. Adam needed a 4.54 to progress but was given a 4.43.